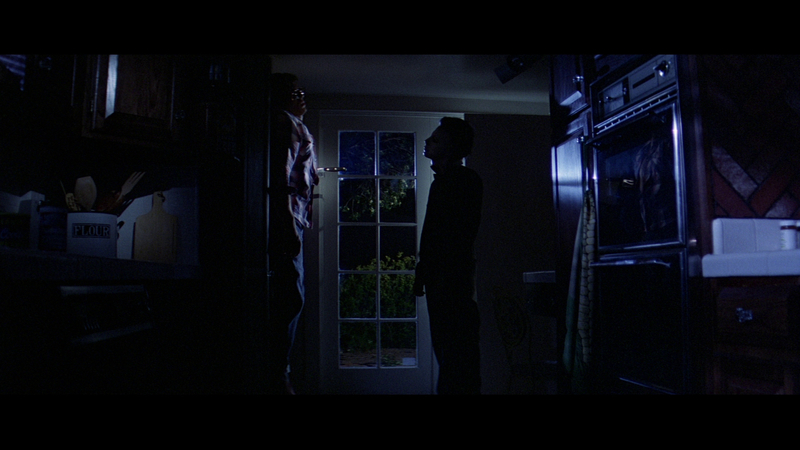 John Carpenter's Halloween is the film I've watched more than any other. 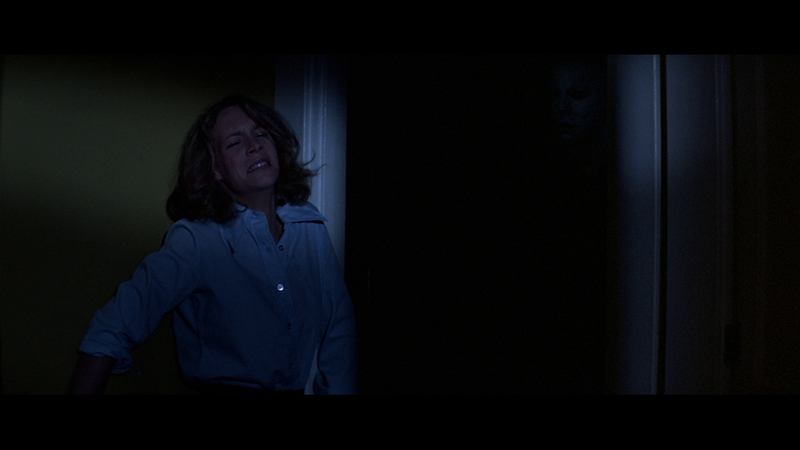 Halloween introduced me to terror personified: Michael Myers. 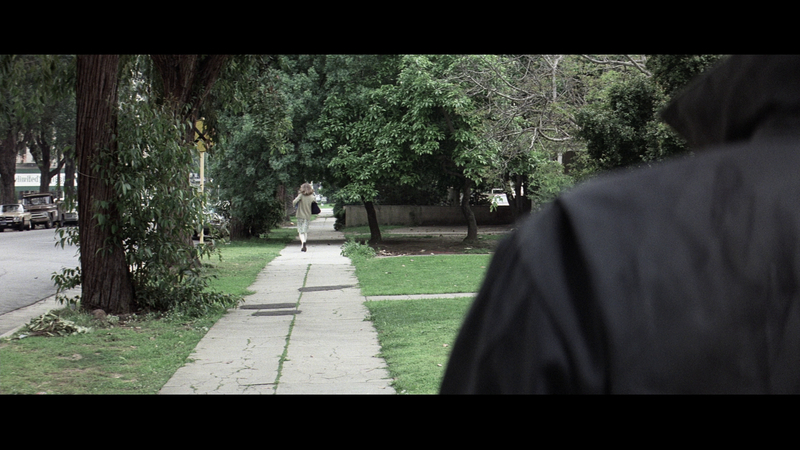 In Halloween I discovered the art of producing with Debra Hill, the merits of good cinematography with Dean Cundey, and the masterful, low-budget magic of Carpenter and his crew. 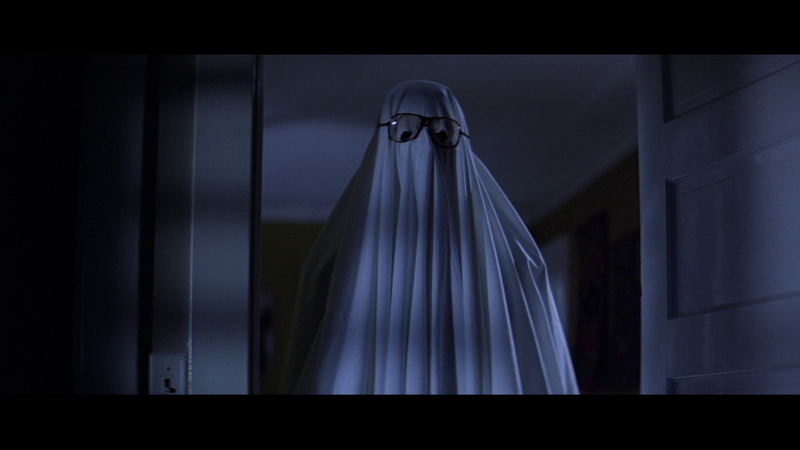 Halloween is my favorite movie. It's hard to put into words all the reasons I love this film, which is rightly considered by many to be the best horror film ever made. What began during an unremarkable 20-day, $300,000 shoot in South Pasadena, Calif., became the cornerstone of a multi-million dollar horror franchise. 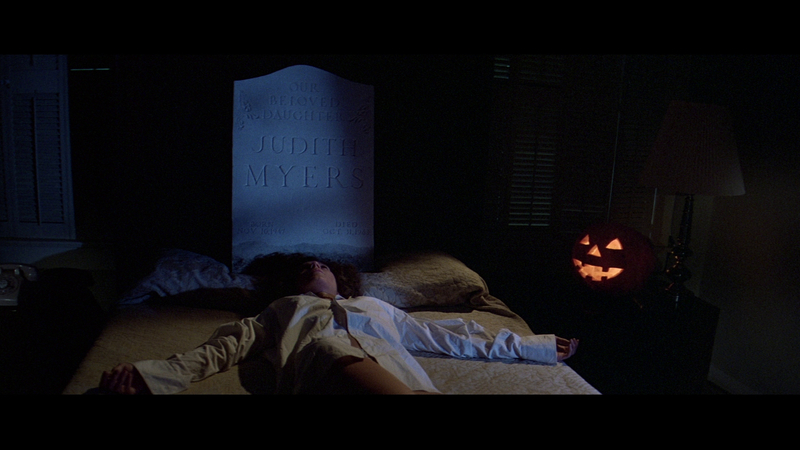 Michael Myers and his ghost-white Captain Kirk mask raise pulses the world over, and Curtis quickly stole the title of "Scream Queen" from her own mother - Janet Leigh. The Halloween franchise sits at nine films and counting, including Rob Zombie's reboot and its sequel, and there have been dozens of home-video releases of the films. Halloween is back for a Blu-ray double dip sporting a new Dean Cundey-approved transfer that makes subtle but welcome improvements to Anchor Bay's previous presentation. I really miss Debra Hill. 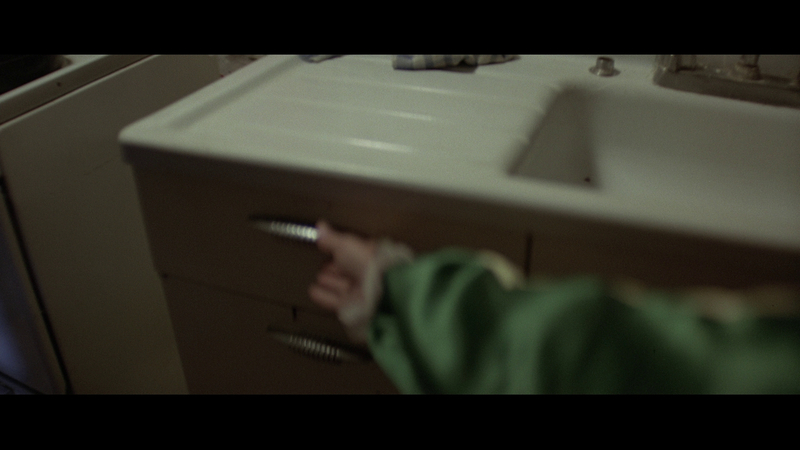 That's her hand grabbing the butcher knife from the drawer in the Myers' kitchen before stabbing Judith Myers to death in the upstairs bedroom. Hill is responsible for writing most of the character interactions in Halloween and was a longtime collaborator with Carpenter on films like The Fog and Escape From L.A.. Hill died from cancer in 2005 but there's little doubt that she is as responsible for Halloween's success as Carpenter. Hill was a den mother of sorts to young actresses Jamie Lee Curtis, P.J. Soles and Nancy Loomis, and these women brought indelible personality to each of their characters. 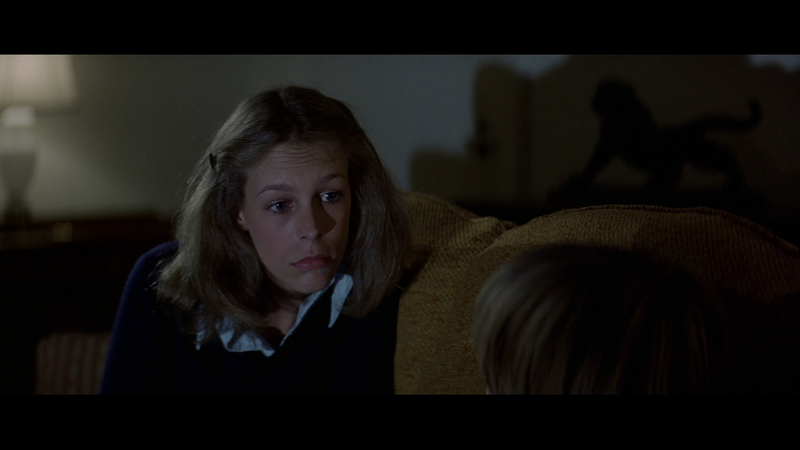 Curtis plays the straight-laced, innocent babysitter Laurie Strode, who is more interested in books than boys. 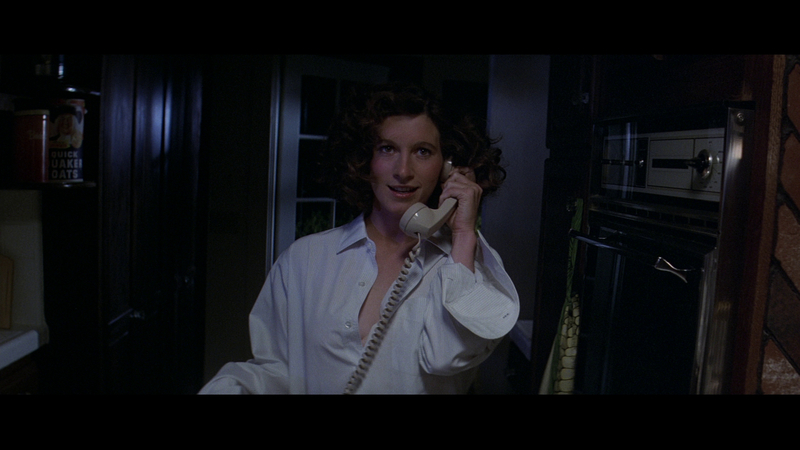 Soles totally nails flighty Lynda van der Klok, and Loomis' Nancy Kyes is, perhaps, the most relatable bad girl in horror history. 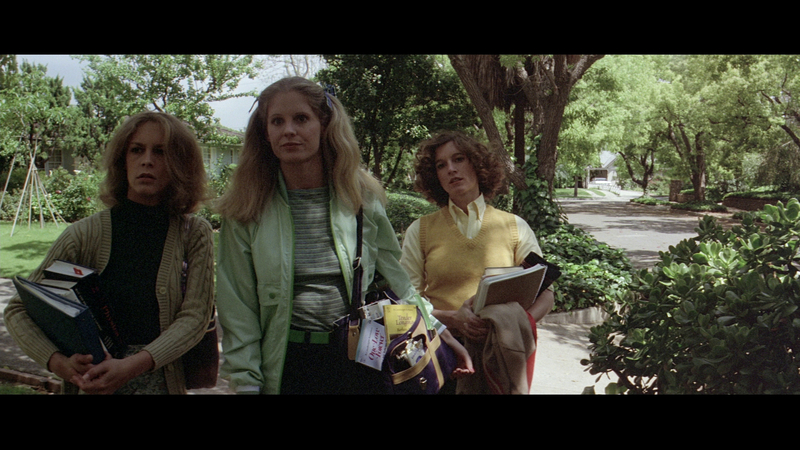 These three are hardly the stock characters of today's slashers. 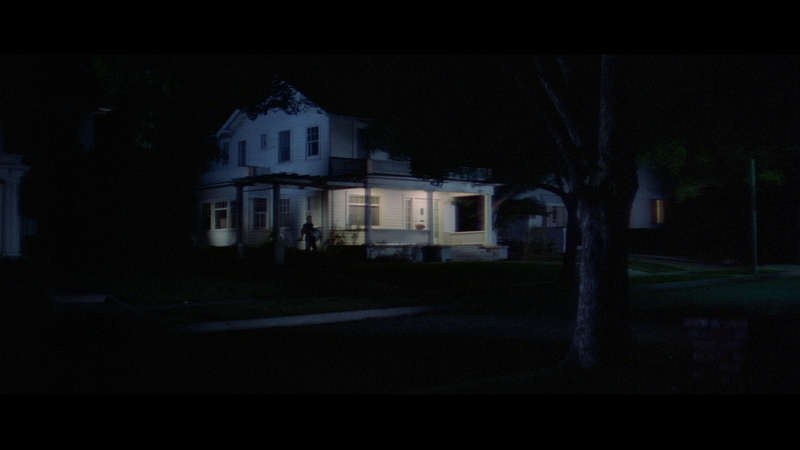 October 31, 1978, would have been a typical Halloween night in Haddonfield, Illinois, had Laurie's long-dormant brother Michael not returned to his home with evil in his heart. Halloween is truly frightening because its villain - The Shape - is not motivated by greed or lust or vengeance. 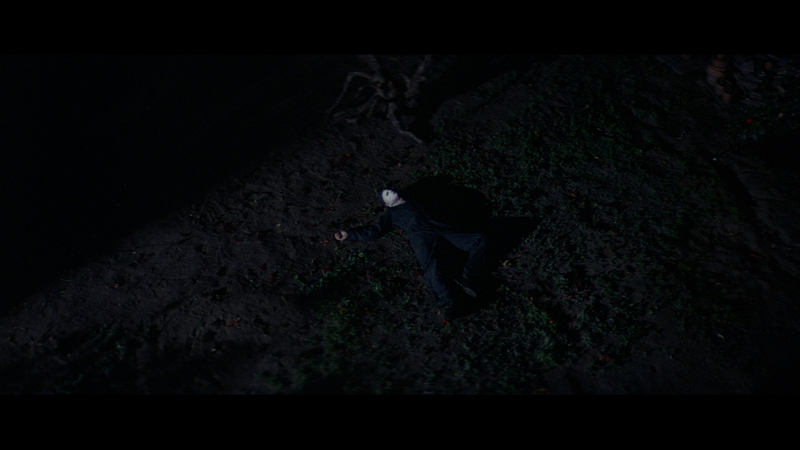 Michael Myers is, in the words of his long-suffering psychiatrist, "purely and simply . . . evil." 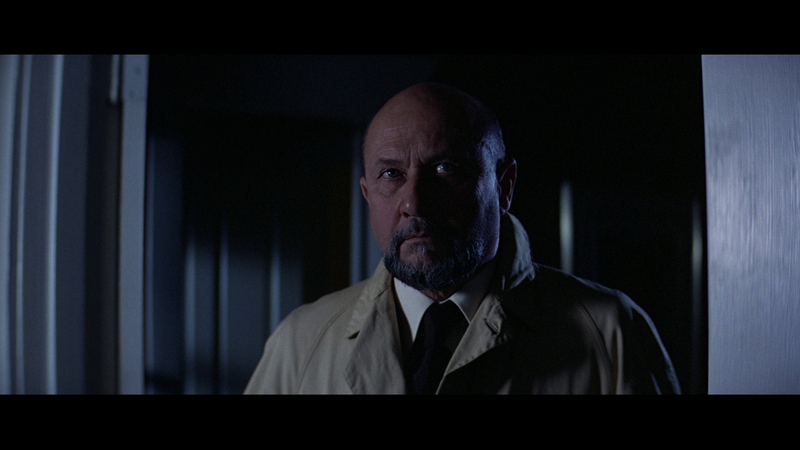 Classically trained stage actor Donald Pleasence plays Dr. Samuel Loomis in five Halloween films and became an unlikely repeat performer for Carpenter. 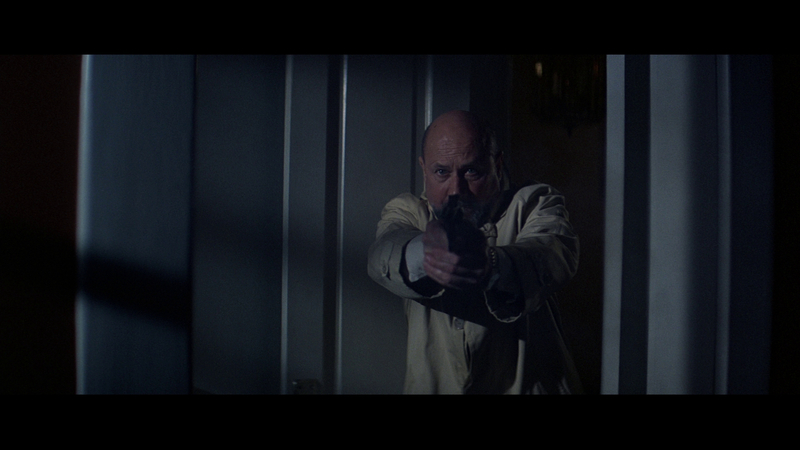 I can't think of another horror series with a central character that labors as long and often fruitlessly as Dr. Loomis. 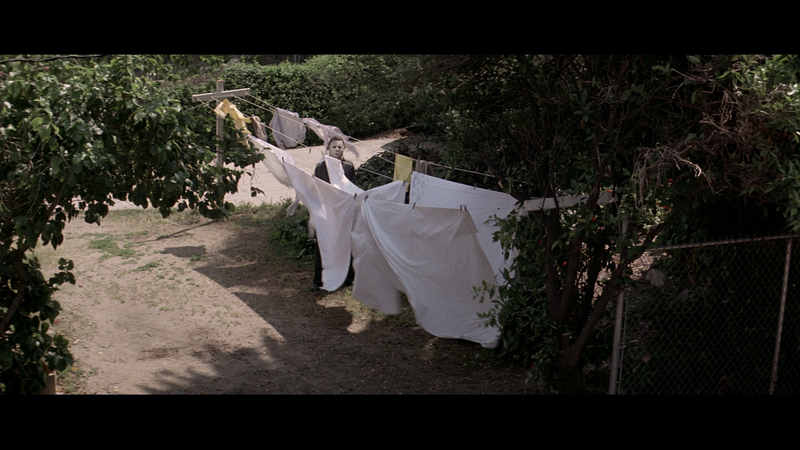 Pleasence's contributions to Halloween cannot be overstated; he truly sells the danger coming to Haddonfield and anchors the film with his dignity and poise. 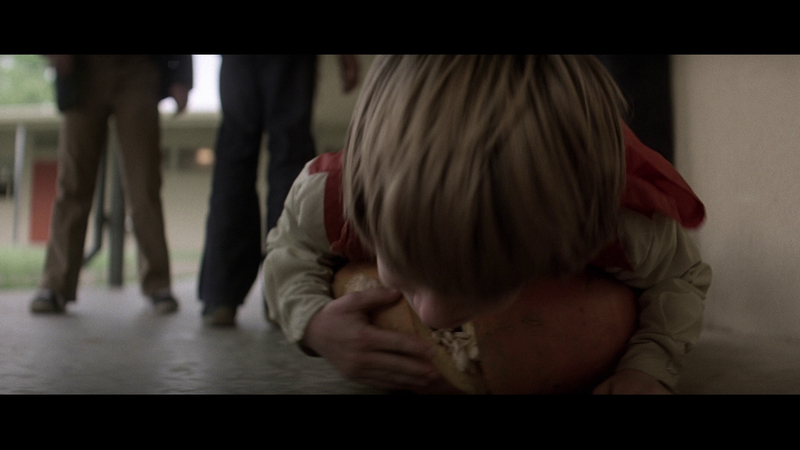 There are many things that set Halloween apart from other horror films. Most importantly, Halloween is artful and perfectly executed. Carpenter and company had no delusions about the kind of film they were making but still took their task seriously. Not in a delusions of grandeur sense but with a mind to make a good film instead of some cheap shocker. 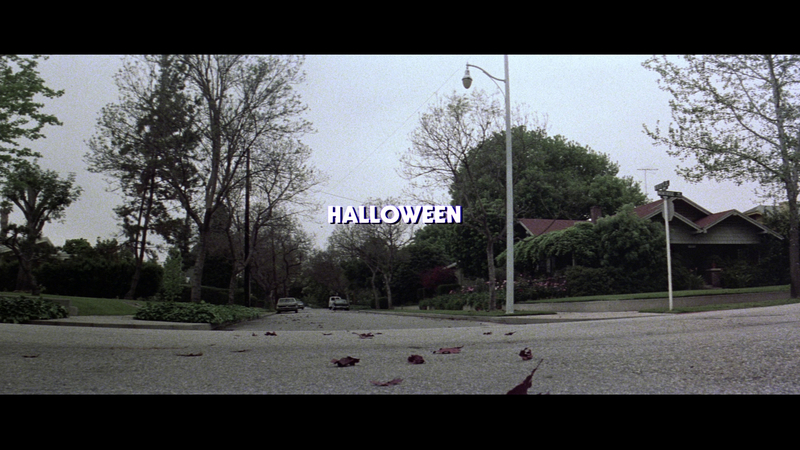 There are many iconic shots in Halloween, and Carpenter and Cundey created a blue-tinted autumn hell in the middle of a sunny Pasadena neighborhood. Michael is brilliantly placed around every corner and inside the locked doors that are supposed to offer protection from outside threats. 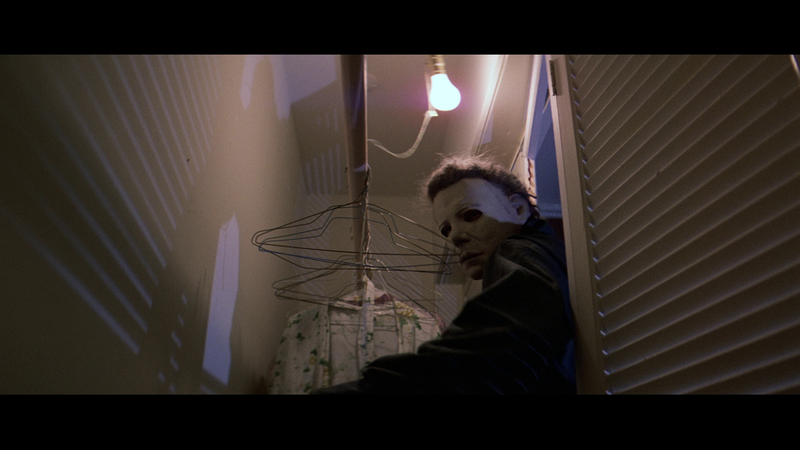 Halloween has jump scares, sure, but it mostly offers pure, extended dread as Michael stalks his prey. 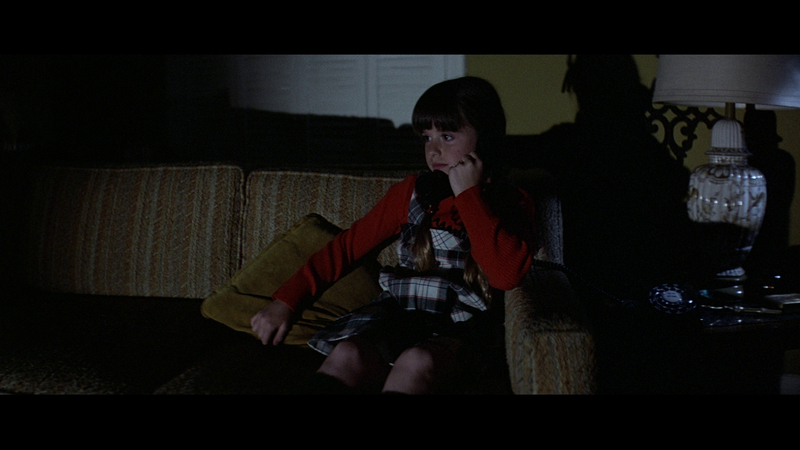 I've seen this film dozens of times and it's still frightening. While Friday the 13th and A Nightmare on Elm Street offer brutal, inhuman and somewhat comical villains, Halloween offers a primal, unreasoning force of nature far scarier than Jason Voorhees or Freddy Krueger. 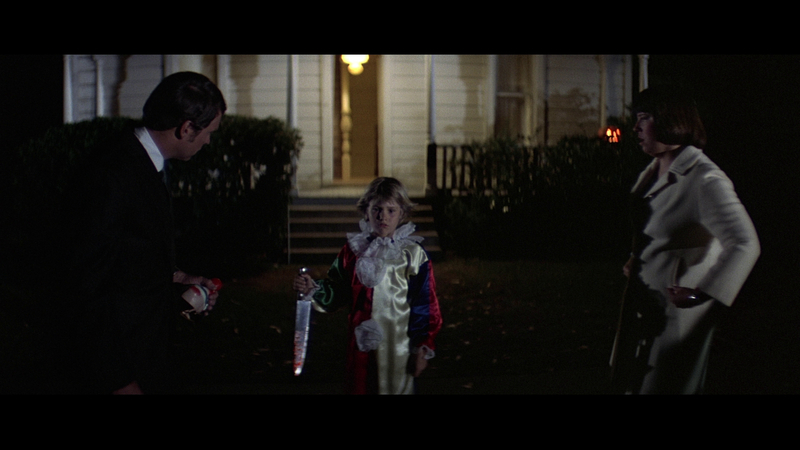 Halloween has endured for 35 years because it changed the face of horror forever with its pacing, skilled direction and ruthless, unwavering antagonist. 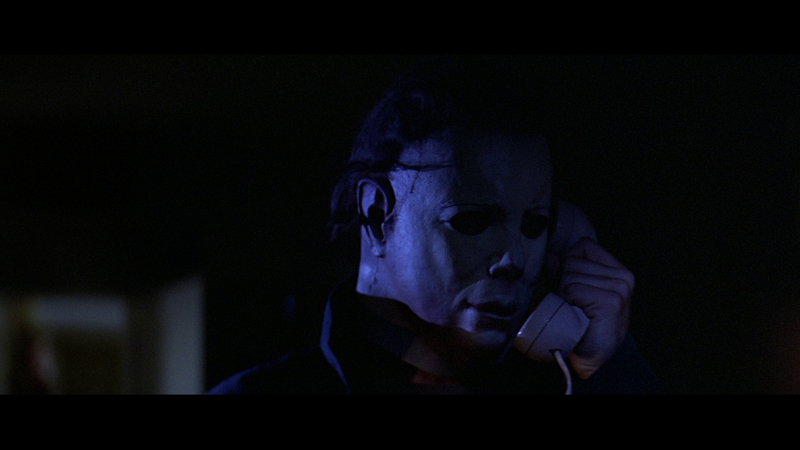 Every movie with a masked killer - or any serial killer for that matter - is compared to Halloween. 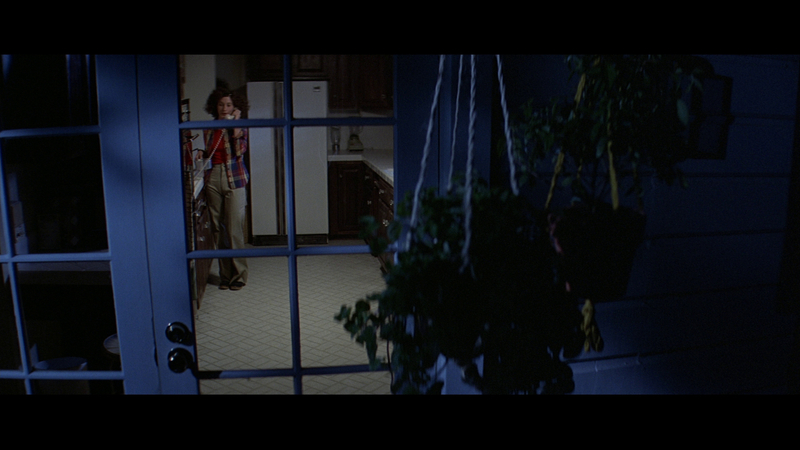 Carpenter borrowed from Alfred Hitchcock's Psycho, but after the voyeuristic opening, Halloween veers into a whole new territory of terror. 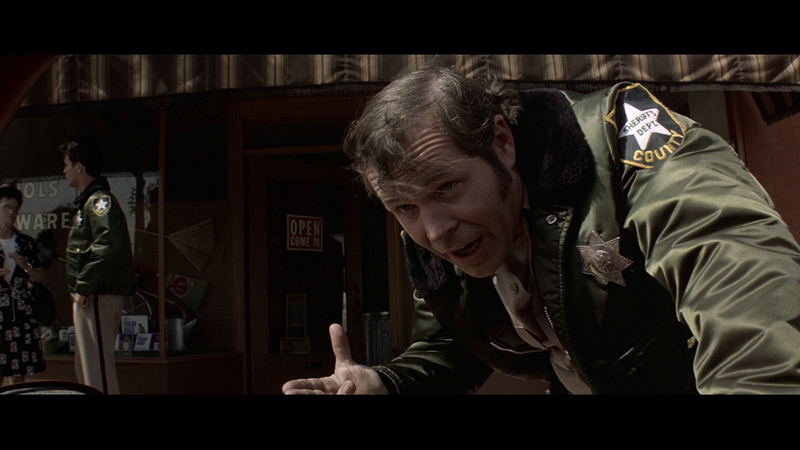 Carpenter's talent behind the camera surpassed what was expected of a then 30 year old. 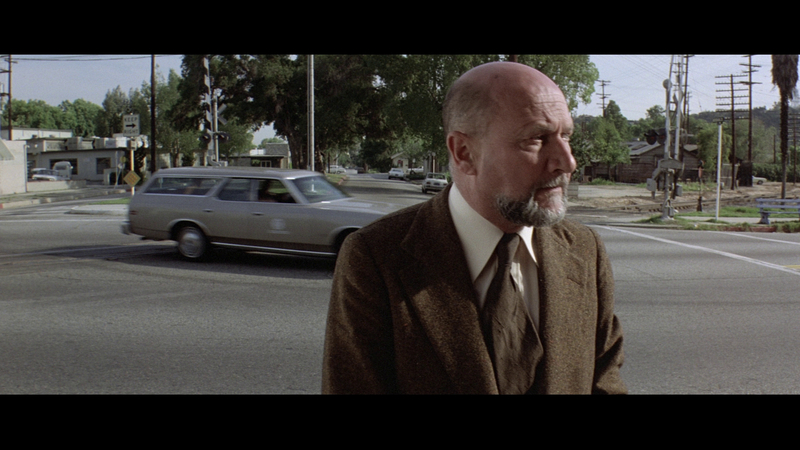 The suspense is palpable, and shots like that of Michael driving by Dr. Loomis and Sheriff Brackett (Charles Cyphers) outside the hardware store are fiercely effective. 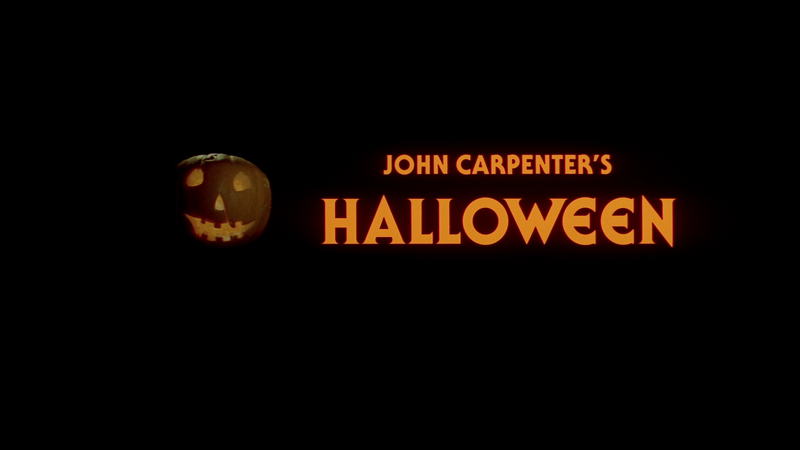 Timeless and near-perfect, Halloween is the best of the lot. Anchor Bay's previous Blu-ray was fairly impressive (especially for a 2007 release) but many noticed the colors were a bit too vibrant for a movie set in Illinois on Halloween. For this 35th Anniversary Edition Blu-ray, Anchor Bay has provided a new transfer supervised by cinematographer Dean Cundey. The result is spectacular, and this is the best Halloween has ever looked on home media. The 2.35:1/1080p/AVC-encoded transfer likely replicates the theatrical experience, and the Blu-ray provides a wonderfully film-like presentation. Cundey's new transfer significantly tweaks the color timing, and colors are far less vibrant than on the previous Blu-ray. This is much closer to Carpenter's vision, and the new transfer also presents more natural skin tones and better color saturation. 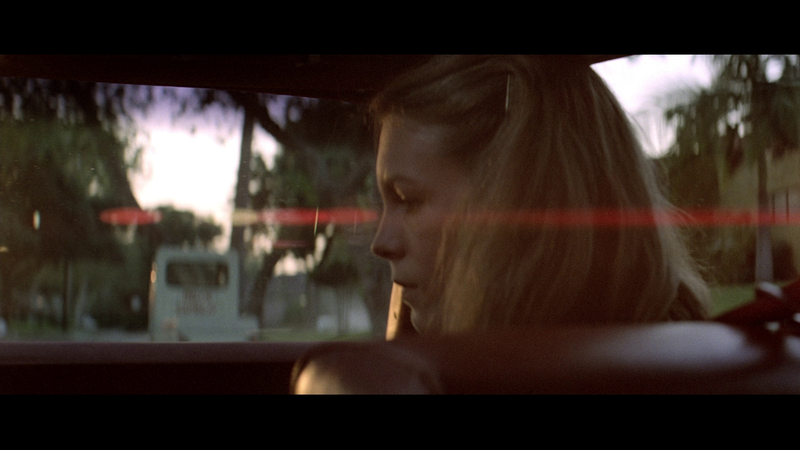 Detail is very impressive for a low-budget, 1978 film, and the image is beautifully crisp and deep. 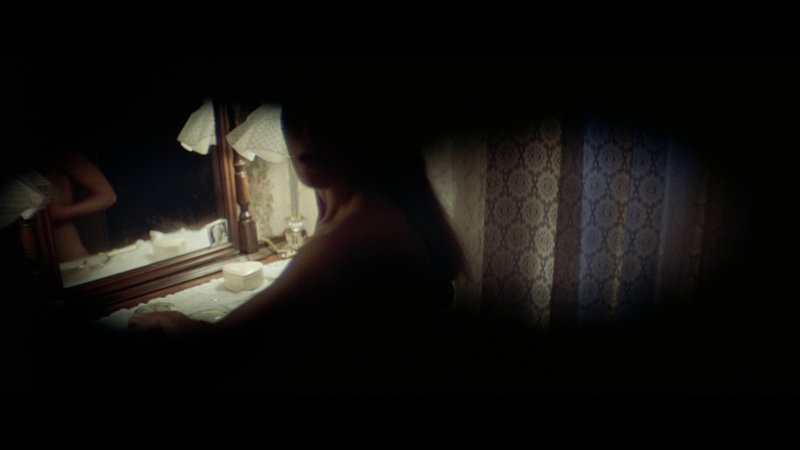 There's a bit of softness in some scenes due to the way the film was shot, and every once in a while the edges of the frame lose definition (also related to the production). Texture is excellent - check out that ugly couch when Laurie stabs Michael with a knitting needle - and black levels are strong. 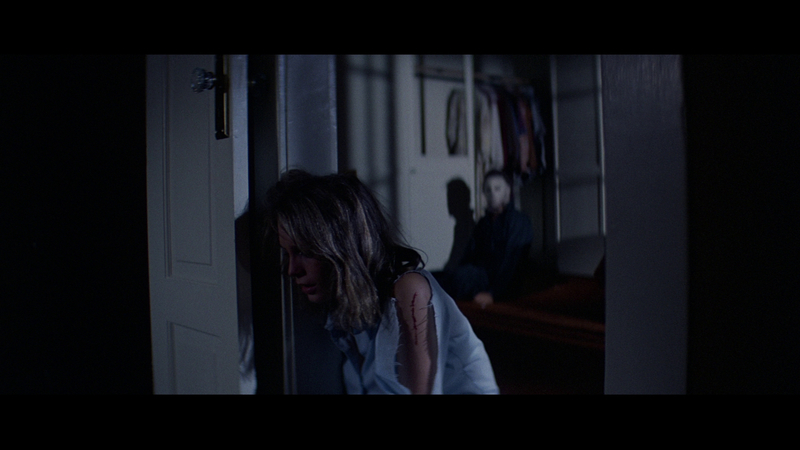 Shadow detail is outstanding: I did a double take when Michael appears from the shadows behind Laurie. There are a very few minor speckles here and there, but this new Blu-ray fixes the telecine wobble seen on the last outing. The clarity is breathtaking. Casual viewers may not care about these changes, but fans will absolutely want to own this new transfer. Two soundtrack options are provided: A new 7.1 Dolby TrueHD lossless mix and a 2.0 Dolby Digital mono mix. The previous Blu-ray provided a lossless 5.1 soundtrack, and this 7.1 mix is equally if not more impressive. This is a very well balanced mix that expands the soundtrack without making Halloween sound like a modern film. Dialogue is perfectly clear and free from hiss and distortion. Carpenter's legendary score is wonderfully deep, and the soundtrack provides excellent separation and balance. The effects are carefully expanded into the surround channels; stinger cues resonate more fully and ambient noise surrounds the viewers. The subwoofer provides subtle support but never overwhelms the experience. Range and clarity are both excellent. The mono track is also strong - I'm not sure a lossless mono option would have sounded much different - and it's nice to have it included. Anchor Bay's 35th Anniversary Edition Blu-ray of Halloween arrives in attractive Digibook packaging with newly commissioned Michael Myers artwork on the front. This image is lightly embossed and the titles and Blu-ray banner are struck in orange foil. Inside there are pictures, poster and key artwork, quotes, and an article by Stef Hutchinson. The Blu-ray disc slides into an envelope of sorts that's attached to the back cover. It's not my favorite way to store discs but it doesn't seem to cause scratches. 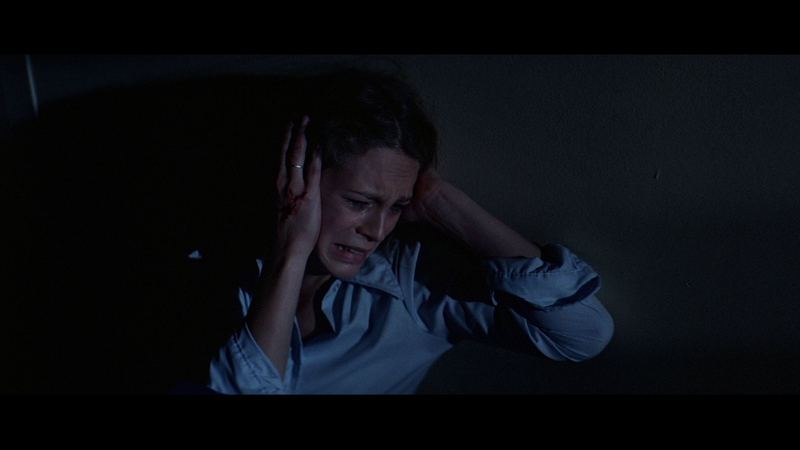 Commentary by John Carpenter and Jamie Lee Curtis - Unlike the old commentary, which was cobbled together from several different sessions, this track was recorded while Carpenter and his leading actress sat beside one another in the same room. This is an excellent, lively track, and it's great to hear the pair's relaxed banter. Curtis at times overwhelms her director but each speaker is able to playfully rib the other. The commentary provides plenty of anecdotes about the entire experience, and the pair also discusses the shoot, technical elements of the production, casting and the film's legacy. It's pretty hilarious that Curtis is really scared of horror films. The Night She Came Home!! (59:43/HD) - For many years Curtis avoided attending fan conventions for Halloween, as the actress readily admits she isn't a fan of horror films and wanted to disassociate herself from her "Scream Queen" past. Last November, Curtis decided to attend a convention and, with the help of Horror's Hallowed Grounds' Sean Clark, signed tons of posters and photos and met one-on-one with her fans. Curtis discusses monetizing Halloween for the good of others (the proceeds from the convention went to the Los Angeles Children's Hospital) and she brings some rare items from her personal collection to auction off (I'd kill for the Michael Myers masked signed by the entire cast and crew!). Curtis seems completely genuine and absolutely pleasant throughout the process. She talks to fans at length and goes above and beyond what is required of her. Curtis claims this is her first and last convention but it's nice to see her back supporting the film. On Location: 25 Years Later (10:25/SD) - This is an older featurette that spotlights the South Pasadena locations featured in the film. This is a nice inclusion, as it features comments from the late Hill. Soles also goes back to the neighborhood with her daughters in tow. TV Version Footage (10:46/HD) - I am glad this is included, but I am not a fan of this footage, which appeared during the film's network television presentation. 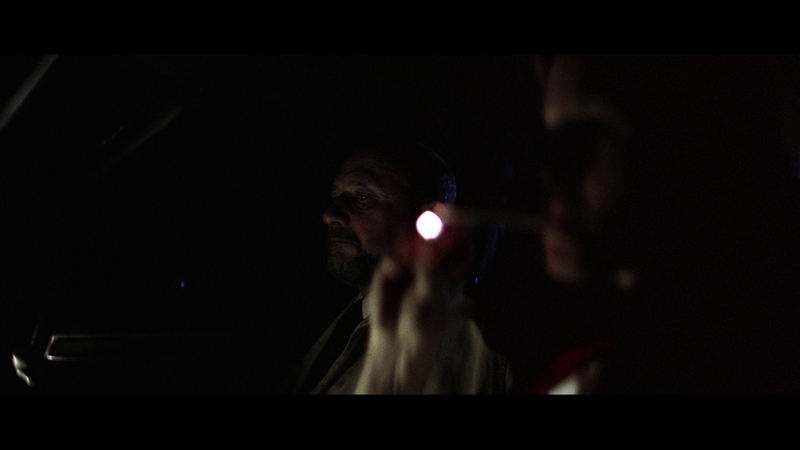 It's mostly scenes of Loomis talking to the review board responsible for keeping Michael locked up. The scene where Loomis visits Michael, who has scrawled "SISTER" on a sanitarium door, is too literal and takes away from the mystery. The film's Theatrical Trailer (2:42/HD) is also included, as are several TV Spots (1:15 total/SD) and Radio Spots (1:30 total/audio only). 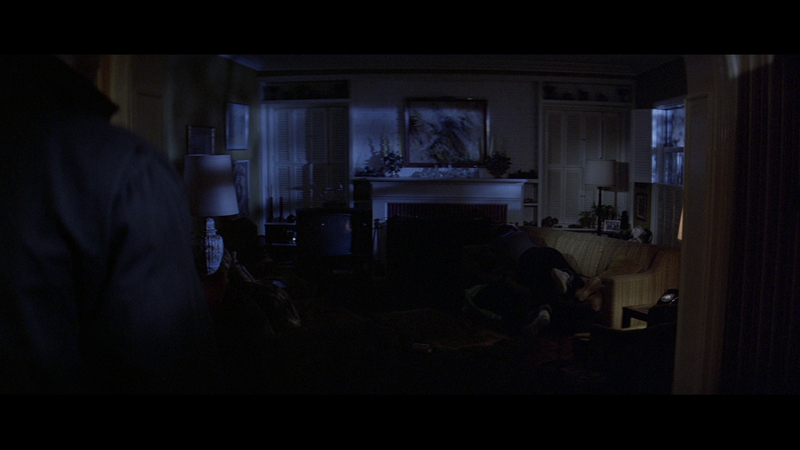 John Carpenter's Halloween is a truly remarkable film. 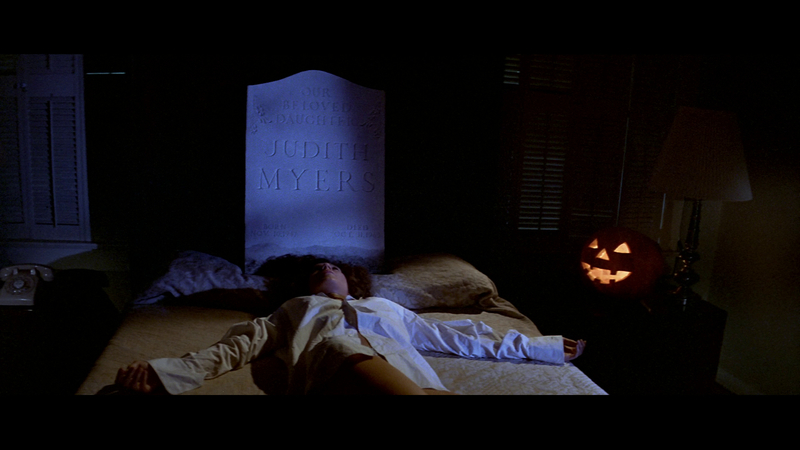 Unparalleled in suspense and terror, Halloween introduced the world to Michael Myers and catapulted Jamie Lee Curtis into the spotlight as a "Scream Queen" for the ages. Anchor Bay's 35th Anniversary Edition Blu-ray features a new transfer, supervised by cinematographer Dean Cundey, that is faithful to Carpenter's vision, as well as several excellent new bonus features. Fans of the film must own this Blu-ray. DVD Talk Collector Series.